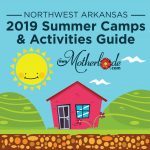 Note from the mamas: If you’d like to see your Northwest Arkansas summer camps or activities featured with links and additional info in our Summer Camps & Activities Guide, let us know! Contact Gwen and Shannon at mamas@nwaMotherlode.com — or call us at 479-409-0424 — for more information and pricing. Want a printable list of camps and things to do to stick in your purse or on the fridge for inspiration this summer? 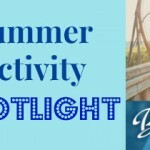 Click here to download the printable, which includes camps, activities, getaways and local places to play this summer! The printable is sponsored by Mosquito Joe, a local company that’s committed to helping you live and play in a mosquito-free zone! 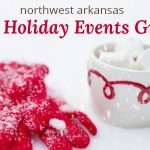 The camps below with links and extra information are nwaMotherlode sponsors, but we try to list all the camps we know about to make the Guide more helpful to Northwest Arkansas mamas. We’ll be adding camps as we receive new information, so be sure to check back often! About our camps: Amazeum Summer Camps specialize in curiosity. The Amazeum’s unique week-long summer camps are the perfect place to unleash your child’s curiosity to explore and make new discoveries. Summer Camps offer hands-on STEAM-focused fun that encourage your camper to be a creative explorer. Experience one camp or experience them all. CLICK HERE to visit the Amazeum’s camp page for more information. About our camp(s): At Crystal Bridges, art camp kids will explore the trails and grounds, learn movie-making and animation, create fashion inspired by art, and more. Crystal Bridges’ Summer Camps offer a variety of themes and activities, encouraging campers to unleash their creativity and imagination. 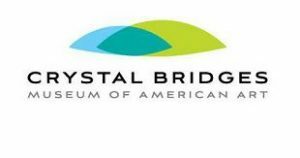 CLICK HERE for more information about Crystal Bridges’ summer camps. About our camps: We are FUN art! Let your kids experience the fun of creativity! These camps are for kids who are ages 7 to 12. Each Painting with a Twist campus (Bentonville and Fayetteville) will host a camp in June. Masters theme – June 26-29th, 1 pm – 4 pm, $50 per day, $180 for all 4 days – save $20, ages 7 to 12. Each day they will paint a different painting in a Master artists style and learn something about that artist. We will provide a snack each day. Safari theme – June 19 – 22nd, 1 pm – 4 pm – $50 per day, $180 for all 4 days – save $20, ages 7 to 12 . Every day is a different animal and a different craft. We will provide a snack each day. Click here to visit the Bentonville Studio. Click here to visit the Fayetteville Studio. Terra Studios, home of the Bluebird of Happiness, is a great place for family outings this summer! It’s a fun, educational art park located just outside of Fayetteville in Durham. Terra features six beautiful acres of sculpture gardens, murals, sparkling glass, fantasy creatures and peaceful fountains. There’s an inside art gallery (showcasing 100+ local artists and you can also see the glassblowers at work) with a café and lots of outdoor sculptures to interact with and enjoy. 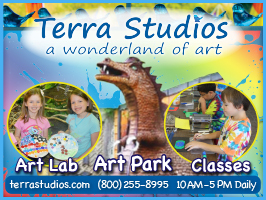 Terra also offers art classes 3 days a week (some for kids, some for adults, some for both!) and they also have Art Lab open for drop-in arts & crafts every day during June and July. Click here to visit Terra Studios for more info and events! About our camps: Camp Sequoyah is a series of summer camps hosted at historic Mount Sequoyah in Northwest Arkansas. Campers will participate in a variety of fun games, educational activities, field trips, swimming, and more. Each week of camp is themed. We offer everything from sports, to art and drama, to the great outdoors, and more, and we pack as much summer fun as we can into every minute. Kids will experience and learn about God’s love for them each day, while being challenged to be the best person they can be in their family, with their friends, and for their community. Multi-camp discounts are available. About Skating Skills camp: Designed for beginner and lower level skaters that are interested in figure skating, playing hockey and having fun on the ice! Skaters will learn basic skating skills including forward skating, backward skating, stopping, and turning. Skaters will enjoy on and off-ice activities. On the last day of each weekly camp, parents are invited to attend an awards ceremony recognizing all of the skaters’ hard work. Each skater receives a camp t-shirt! The Jones Center also offers hockey, soccer, basketball, and all-sports camps. Take a look below for details. Daily ice skating camp activities include: Off-Ice Conditioning and Stretching, On-Ice Skating Skill, On-Ice Power Class, Off-Ice Jump/Spin Class, Open Skating Time, Movies + Games. CLICK HERE to visit the Jones Center’s camp page for more information. About our camp: We (the owners of Fayetteville Martial Arts) are proud to have served families in the area for the past 34 years. Campers learn & apply the meaning of Courtesy, Integrity, Perseverance, Self-Control and Indomitable Spirit. Each will experience six training sessions per day, which will include age-appropriate self-defense, team building, basic, intermediate and advanced stances & kicking drills, tournament and testing preparation. Our camp will reignite the fire for each camper to train harder and re-apply lessons that they are learning in their home. Anyone can attend camp and there are options for overnight, half overnight and day camps. Students from TX, OK, MO, TN, IN and all over AR travel to attend. There’s a 100 camper maximum. For more information, contact Program Director Master Randy Edwards at Fayetteville Martial Arts 479-274-8314 or fayettevillema@gmail.com. About our camp: Summer 2018 will be broken into 9 weekly sessions like “Aloha, Summer” “Wildlife & Wilderness” “Super Heroes” and “Arts Alive”. Each week will have a theme with programming, field trips, and activities reflecting that theme. You are able to sign up for the weeks you need and opt out of the weeks you don’t! The Club is open Monday through Friday 7:30 am to 5:30 pm. (There are also extended hour options.) Transportation is not provided during the summer with the exception of to and from field trips. Cost: $55 activity fee per weekly session + $20 one time Summer membership fee. A minimum payment of $10/week is due at the time of registration. The remaining balance must be paid the Friday before the given week. Breakfast, lunch, and snack is provided at no additional cost. Need-based scholarships are available. Registration: To register for our Summer program please choose the link below that corresponds with your preferred Unit. Click here for more information about summer camp opportunities at the Boys & Girls Club of Benton County. About RAC camp: You can choose the weeks you want in June, July and August. There will be 4 field trips a week during summer camp: Turpentine Creek, swimming, bowling, skating, movies, and many more! For over 30 years, RAC has offered a Summer Day Camp program to keep kids happy and active. Children are provided breakfast, lunch, and an afternoon snack. Campers will go on field trips, play games, participate in RAC’s summer reading program, and enjoy arts and crafts while making new friends. The RAC is a licensed childcare facility. About our camps: Nexgen’s week-long camps are staffed by an elite group of tennis professionals who played NCAA Division I college tennis. Our Razorback alumni inspire children to get active and learn to play tennis. Players of all ages and levels are welcome to our camps and will be placed in small groups based on skill level. Training will fit the individual needs of each player. Our coaches and camp counselors are mentors who create an environment that provides a social network while promoting a lifestyle health, fitness and fun! Every Friday we will end our camp with a pizza party with prizes and a free t-shirt to every camper. Class sizes are limited so register early. Private lessons are also available this summer. Click here for more information about Nexgen’s tennis camps. About our camp: Camps are offered weekly this summer, starting May 29th. Choose your favorite weeks — or all of them! Camp includes 2 field trips per week (no extra charge), swimming, sports, arts and crafts, snacks, weekly challenge competitions, Big Kahuna Character Value weekly awards. Camp is offered Monday through Friday from 7:30 a.m. to 6 p.m.
Camp dates: Camps offered weekly, May 29 – August 10, 2018. Camp field trip highlights include: Swimming, boating, fishing, art, mini-golf, skating, bowling, water parks, arcade games and much more! Open to beginner and intermediate level players: ages 4 – 12 years. Early drop off beginning at 7:30 AM offered at no additional cost.Tennis Campers can also extend their day and join ARKahuna Camp from 12 noon – 6 PM for an additional $99 per camper. Click here for more information on FAC’s summer camps! About our camps: At High Pointe, it’s all about fun this summer! We’ll offer two camps for kids: Trolls Trolls: The biggest, the loudest, the craziest party EVER and a fun Princess Tea Party! Each camp includes cool makeovers! **About Trolls Camp: Each dancer will begin camp by getting their face painted, then moving into class to work on flexibility and technique. Each dancer will learn two routines to perform in front of parents and friends, June 28th at 11 a.m. Snacks and crafts will be provided each day. **About Princess Tea Party Camp: Princesses begin camp by getting their hair and makeup done, then we will be focusing on technique, poise, and flexibility. Princesses may dress up each day to camp. Snacks and crafts will be provided each day. 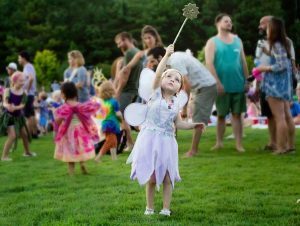 Princesses will learn a ballet and a jazz routine to perform in front of parents and friends, July 26th at 11 a.m.
About our camp(s): If you’re looking for ways to engage your child in new and exciting experiences this summer, check out Sylvan Learning Center’s STEM camps (Robotics, Coding, and Math). They offer ½ day camps (9am to 12 pm and 1 pm to 4 pm) or all day camps that run from 9am to 5 pm. Half-day camps revolve around robotics and coding. Sylvan’s all-day camp includes robotics and coding, and an hour of Math EDGE so your child can stay up to date on their math skills in a fun, interactive way! 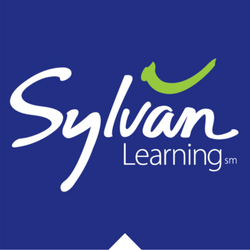 Sign up online at sylvanlearning.com. Click here for more info about what Sylvan offers, including ACT prep and programs to help eliminate “summer slide”! About our camps: Camp Invention’s all-new summer program, Fast Forward, shows children that even the wildest and craziest ideas can become reality! Campers in grades K-6 will create a vehicle of the future, design a mechanical robot dog, and build futuristic dream homes. Local educators lead the week of fun, hands-on, STEM activities that encourage children to think big, explore their curiosity, and never give up! Visit campinvention.org or call 800.968.4332 to register. Use promo code ThinkBig15 to save $15 (expires 5/4). CLICK HERE to visit the Camp Invention website for more info! About our camp(s): Camp Prism is an ideal place for families looking for full-time, enriching care for their school age students this summer. Camp Prism provides full-day, enriching programs on a weekly basis for school-age students during the summer. Most camps are designed for students in grades K-6, with a few special camp opportunities for older students as well. Camps themes vary from week to week, including options for Performing Arts, Visual Arts, Wilderness Exploration, Sports, Science, Historical, and Culinary Arts. Multi-week campers receive a substantial discount. For a complete list of camp descriptions, check out our website at prismeducationcenter.org. Click here for more info about Prism Education Center’s summer programming and camps! About our camp: Each year Modern Mission campers have had a ton of fun playing all kinds of fun activities and hearing from several awesome guest speakers. During camp, kids will learn how to shoot a bow, outdoor survival tips (starting a fire in wet weather, edible insects, etc.) and the value of teamwork. There will also be special guest speakers throughout the week, including Sheriff Tim Helder, the local K9 unit under Officer Chris Krodell, and more! There will be plenty of time for fun with Archery Games and Indoor/Outdoor battlefields. The camp will be a 5-day event that will run from 8:00am-12:00pm. You will be able to drop off your kids starting at 7:30am. When you make a reservation for your child, they will be registered for the entire week. CLICK HERE to visit Modern Mission’s camp page for more information. About our summer programming: First School is a Quality Accredited Arkansas Better Beginnings Program, Level 3, offering a faith-based Parent’s Day Out Program, Preschool, and Kindergarten. It’s an outreach of the First United Presbyterian Church. In the summer, parents can choose classes on M/W or T/TH, or all four days are available. The children will learn, play and enjoy nature while attending summer classes at First School. The registration fee is $30 per session, per child. CLICK HERE for more information or to register for First School’s summer programming. About Rick’s Summer Camps: Campers will learn basic decorating techniques, take a behind-the-scenes tour, and will be able to take home all of their goodies to share! Plus, each camper will get a T-shirt! You do not want to miss out on this experience. Each two-day session is $75 plus tax. CLICK HERE for more information about WILD’s summer camps! About the RHM Explorers program: The Rogers Explorers program is for children, between the ages of 7 and 12, who wish to develop thinking skills, acquire new knowledge, and change their perception of and attitude toward museums, all while actively benefiting in a social environment that explores our city’s and region’s rich heritage. Each child will receive a shirt, lanyard, and booklet. The booklet will describe the sessions layout, a brief history, as well as activities for later use by the child. Each session will begin at the sessions location. The program will begin at 10 am for approximately 1 1/2 hours. Parents/Guardians will accompany their children at all times during the sessions. Pre-Registration is required, call 479-621-1154 to sign up. Cost: $5.00 each child per session. $3.00 for each sibling per session. Click here for more information about Rogers Historical Museum’s programming this summer. About Spanish camp: Children ages 6 to 14 will take their love of Spanish to the next level. 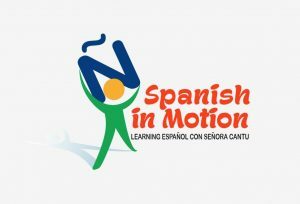 Spanish Cantu owner Mariza Cantu teaches after-school Spanish and also hosts summer camps, including Spanish Adventure Camp (an interactive language immersion camp where kids learn Spanish through experiments, cultural activities, outdoor games, and crafts.) This year Adventure Camp will celebrate all the great movies – Coco, the Book of Life, Ferdinand the bull, and the Greatest Showman to name a few. Adventure Camp is not only fun, but offers kids the opportunity to learn and practice Spanish. All Spanish levels are welcome. Enroll by May 15th and get $10 off. Summer reading kick-off event on June 2: It’s the biggest party of the year! Come anytime between 10 am and 1 pm and help FPL kick off the annual summer reading program, Libraries Rock! With fun for the whole family, there will be special performances on the Rock Street Stage by Ballet Folklorica and School of Rock, a demonstration by Grandmaster Han’s Martial Artists, plus bounce houses, laser tag, a photo booth, face painting, balloons, airbrush tattoos, pizza and more! Best of all, it’s all FREE! BONUS: This is also the first day you can turn in your reading logs for awesome prizes! Who can participate in the Summer Reading Program? Kids, teens and adults! Super Saturdays. All kinds of fun activities and entertainment at the library on Saturdays this summer at 10:30 a.m.
Summer Music Series: FPL’s 2018 Mountain Street Stage Summer Music series starts Sunday, June 3rd. It brings an eclectic mix of music to your ears. From blues, to jazz, rock’n’roll, folk, bluegrass, r&b, americana and more, you’re sure to be entertained by some of the area’s most talented and seasoned musicians. The concerts run each Sunday in June and July from 2:00-4:00pm in the Walker Community Room. All concerts are free and open to the public. Kids and families welcome. Be sure to wear your dancing shoes. The library has MUCH MORE scheduled for kids and families this summer! Click here to visit the calendar. 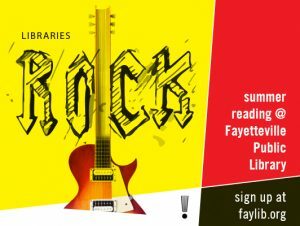 CLICK HERE to visit the Fayetteville Public Library’s website for more summer fun info. About our camps: From high adventures on the pirate seas to Hogwarts to camp Half-Blood, kids will have a blast at Trike Theatre’s summer camps. Not only will they have fun, those interested in sharpening their singing/dancing/acting skills will have plenty of opportunities with the Camp Broadway series or at the 1-Act Play Camp. Trike Theatre will host summer camp at their downtown space in Bentonville as well as at the Bentonville Community Center. Trike is also holding auditions on April 8th for two summer productions: The Wizard of Oz and Madagascar Jr. Address: Trike Theatre, 209 NE 2nd St., Bentonville, Bentonville Community Center (1101 SW Citizens Cir, Bentonville) and Arts Center of the Ozarks (214 S Main St, Springdale). CLICK HERE to visit Trike Theatre’s camp page for more information. About our camp: Arts Live will offer one and two-week camps beginning June 11th through the week of Aug. 6th. On the final day of each camp there will be a free public performance/showcase. Camps include everything from create-a-play and circus fun for younger kids — to comedy improv and Reader’s Theatre Camp for the older kids, Arts Live will show campers how to do everything a play involves. Kids can choose one or all camps! Click here for more information about Arts Live Theatre camps. About our camps: Walton Arts Center is hosting Second City Training Center’s Summer Improv Camps. Early Bird registration for kid, teen and adult classes is now open at waltonartscenter.org. Middle schoolers will focus on improv, writing and storytelling, clowning and physical comedy and theater arts and crafts. High schoolers will focus on improv, sketch comedy, stand-up and storytelling. At the end of camp, students will present a show for their family and friends. Past students of The Second City Training Center include Tina Fey, Steve Carell, Stephen Colbert, Keegan-Michael Key, and many more comedy giants. Dates and age groups: A two-week day camp for students between the ages of 11 and 14 and one for students between the ages of 15 and 18 are available. Both camps will be weekdays from 10 am until 3:30 pm July 9-20, 2018 at Walton Arts Center. Early bird registration is $785 until May 7, then prices increase to $850. Registration fees do not include lodging or food. A camp for adults, too: A week-long adult intensive training session will be 6-9 pm July 9-13. Registration is $300. This is a crash course in the philosophies and methods that The Second City uses to find, explore and create material. About our camp(s): Choose from Engineering Academy, Piano Academy, Art Academy, or Worship Arts Academy. Piano Academy: June 3-9. This one-week intensive program is a great way to see what studying music is like at the university level. Each student will receive daily lessons, the chance to perform in masterclasses, and opportunities to attend performances by faculty and peers. Class topics include theory, composition, basics of interpretation, and building technique. Engineering Academy: July 15-20. Students will learn about electrical circuits, programming, 3D computer aided design, 3D printing, strength and mechanics of materials, smart materials, motors, batteries, and more. The week will include hands-on project design, building, and testing. Art Academy: July 15-20. The art academy will offer 3 different tracks for students to choose from: Digital Cinema, Photography, and Art & Design. Digital Cinema will be an immersive week of digital filmmaking guaranteeing hands-on experience on the set, in the edit suite, and the screening room. The Photography track offer a chance to learn from amazing professionals and educators, be inspired by Arkansas’s natural beauty and create images in both digital and traditional film mediums. In the Art & Design track, students will learn and have the opportunity to produce a wide variety of art mediums such as painting, graphic design, digital illustration, printmaking, and typography. Worship Arts Academy: July 22-27. Students will spend the week sharpening their music skills, meeting like-minded artists, and discussing how theology, liturgy, and music can work together in corporate worship. Students will work with JBU Faculty, Chapel Leaders, and Local Worship Pastors on rehearsal techniques, individual instrument roles within a band, vocal improvisation and exhortation, and corporate worship planning. Age group(s) served: Engineering Academy 10th-12th grades as of 2018. Piano, Worship Arts, and Art Academy 9th-12th grades as of 2018. CLICK HERE for more information about JBU’s summer academies! 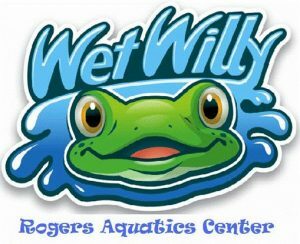 The Rogers Aquatics Center is a splashy blast! The center will open for the 2018 Season from 11-7, Saturday, May 26th; from 12-6, Sunday, May 27th; and 11-7 Monday, May 28th. They will be closed Tuesday and Wednesday May 29th & 30th because the public schools are still in session. Regular hours will begin Thursday May 31st. Our 10 Admission Splash Passes will go on sale at half price from Midnight on May 12th until 7pm on May 28th (Memorial Day). The Admissions Office will be open from 10-6 Monday – Friday and from 12-4 on Saturday during the sale dates. 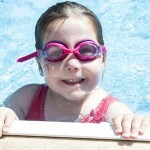 The Splash Passes will be available at the website, www.rogersaquaticscenter.com 24 hours a day. Just for our tiny guests 5 and under, Tiny Turtle Island is open exclusively for the little ones and parents most Thursday mornings during the season. Tiny Turtle Island Only. 8 a.m. – 9:30 a.m.
All Season Pass holders can bring one friend for free! Valid Memorial Day Weekend, Fourth of July Weekend, and Labor Day Weekend! See Event Calendar for dates. June 9, July 14, and August 11. Back this year by popular demand! The fun happens at Parrot Island’s Wave Pool and Surrounding Deck with the Rockin’ entertainment provided by MS Event Group. Tickets available at the Parrot Island Waterpark Ticket Office. New this year! Enjoy live music by local artists at Parrot Island’s Wave Pool and Surrounding Deck. Regular Admission Fees apply. Come out and enjoy an evening with Waves of Fun and Wild Slides! Parrot Island Waterpark will be open on select nights from 7:30 p.m. to 10 p.m.
Click here for more information on Parrot Island fun this summer! Be sure to check back often, mamas! We’ll be adding more camps, activities and events as we head into Summer 2018!